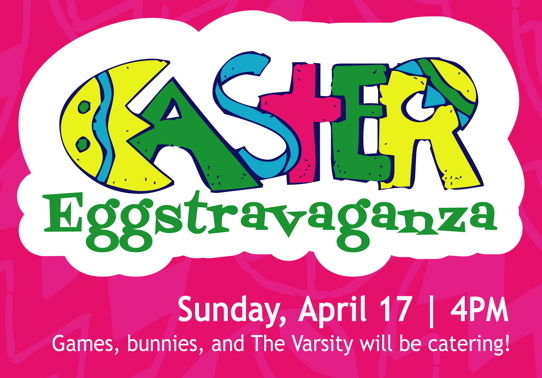 On Sunday, April 17 we will host a Easter Egg-stravaganza that will begin at 4 pm. We’ll have egg hunts beginning at 4:30, games, bunnies to pet, and The Varsity will be providing meals and dessert for $4. We need your help in donated plastic eggs and candy by this Sunday, April 10. Monday Download: Q & A, end times, 2012, heaven and hell, what tattoo should I get?